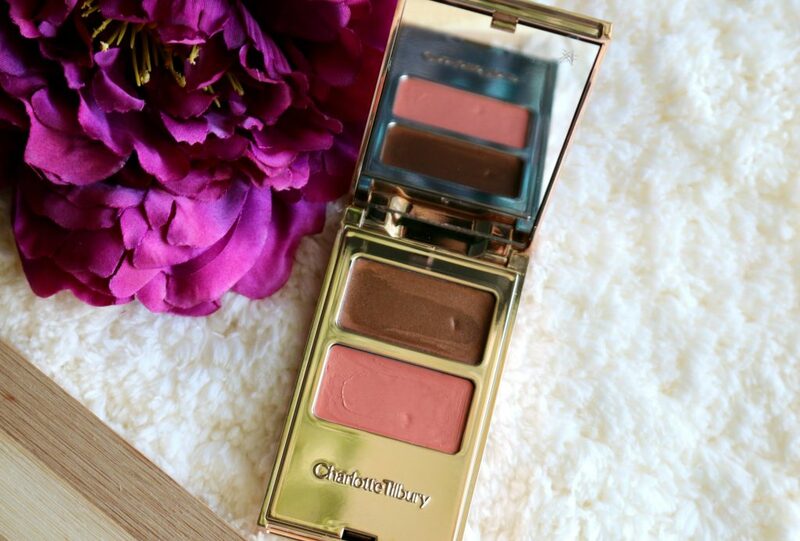 Charlotte Tilbury created her ‘Filmstar on The Go’ palette to deliver “filmstar glamor in a flash.” This ‘Breakfast at Tiffanys’ version features an iridescent bronze eye shadow, formulated with anti-aging Apricot Seed Oil, and a subtle yet long-lasting peach cheek and lip tint. I was lucky to receive this wonderful palette for review. 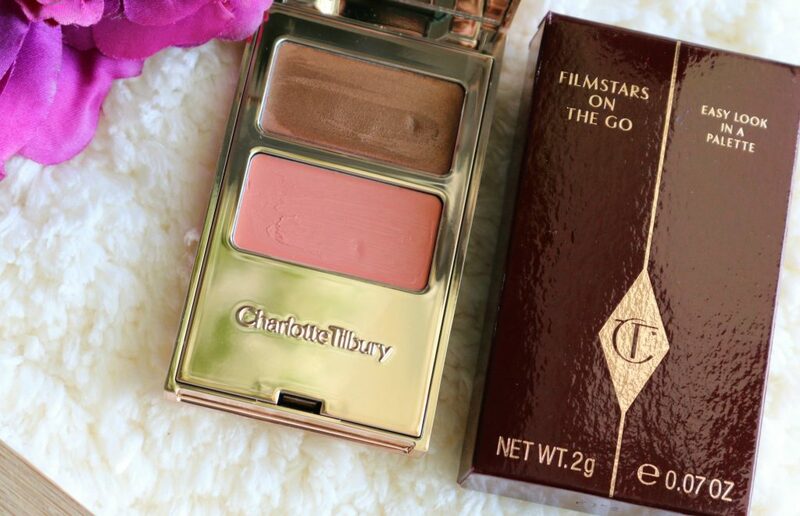 Filmstar On The Go is an Easy Look in a Palette contains 2 products – a cream eye shadow and a cream lip and cheek product. 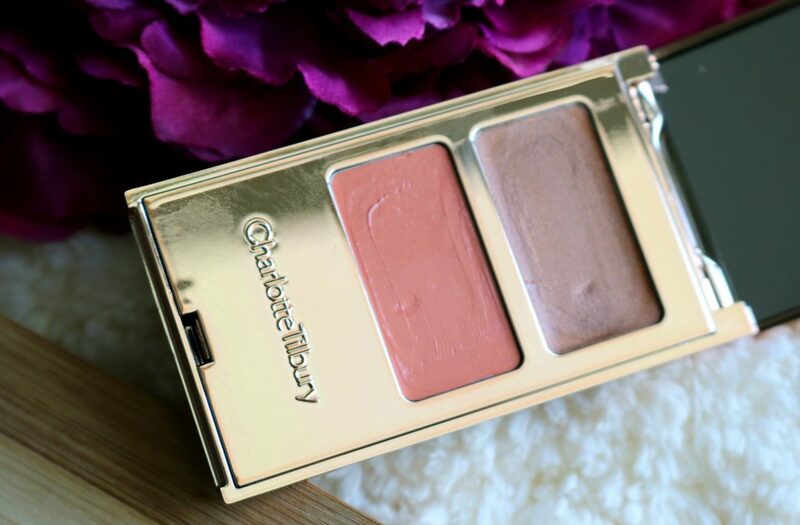 These are creamy with medium coverage that is buildable and comes in this beautiful golden packaging! 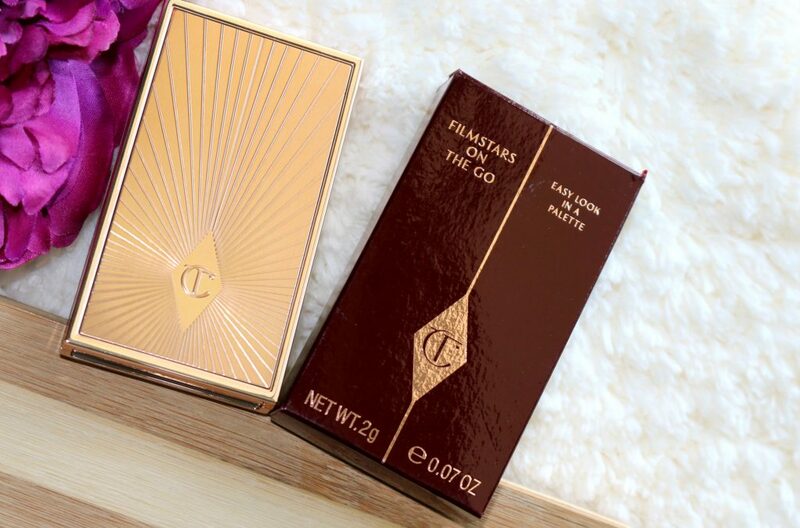 Packaging & Price – The palette looks similar to the Filmstar Bronze & Glow palette but with smaller packaging. It has a big mirror which is awesome for on-the-go touchups. Package is very sturdy and the gold steal the show. I can’t tell you how much I love CT packaging. They speaks luxury. 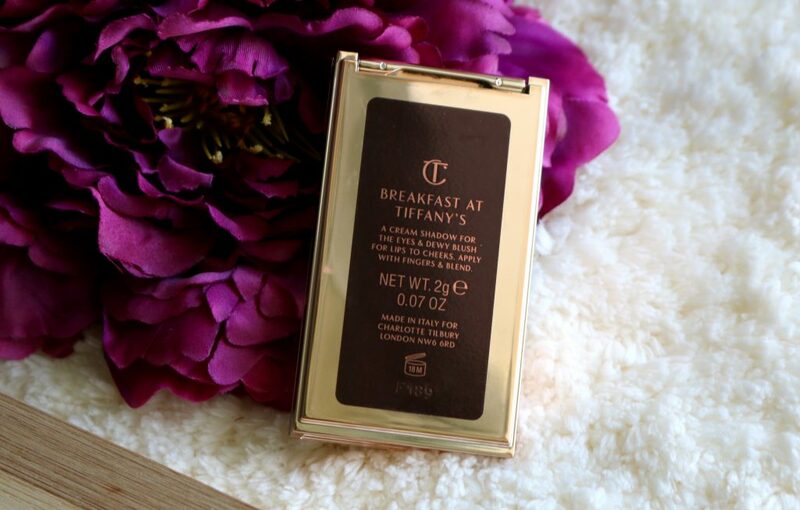 Shade, Consistency, Pigmentation – Breakfast at Tiffany’s is a shimmering bronze eyeshadow with a soft apricot lip/cheek stain. The lustrous Lip-to-Cheek Cream Polish contains the magic ingredient BerryFlux Vita, which increases the dermal and epidermal Hyaluronic Acid that drenches the skin with moisture, and a special Microfine pigment technology makes sure your lip color stays gorgeous all day. Mesmerizing metallic eyeshadow glides on beautifully, as it’s the perfect balance of waxes and oils, including anti-aging Apricot Seed Oil. The consistency is creamy and it’s not sticky at all. 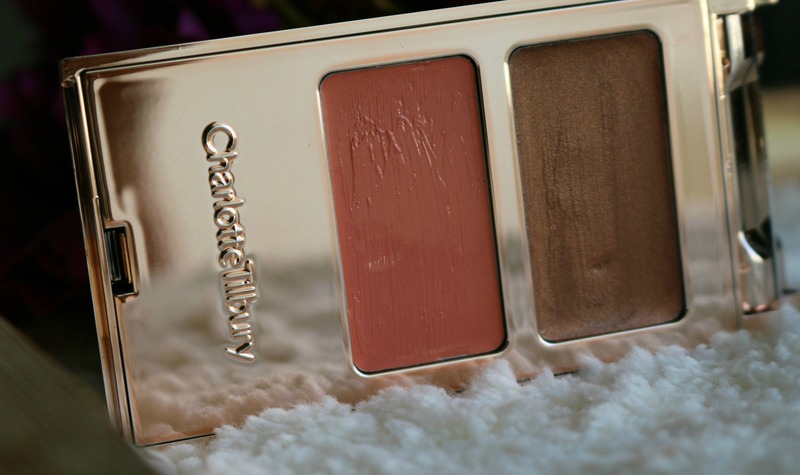 It applies smooth and the coverage is beautiful. Breakfast at Tiffanys has 2 gorgeous creamy colors- The bronzy color for eyes and the peachy/apricot shade for cheek and lips. I love to use it on my cheek than on my lips. 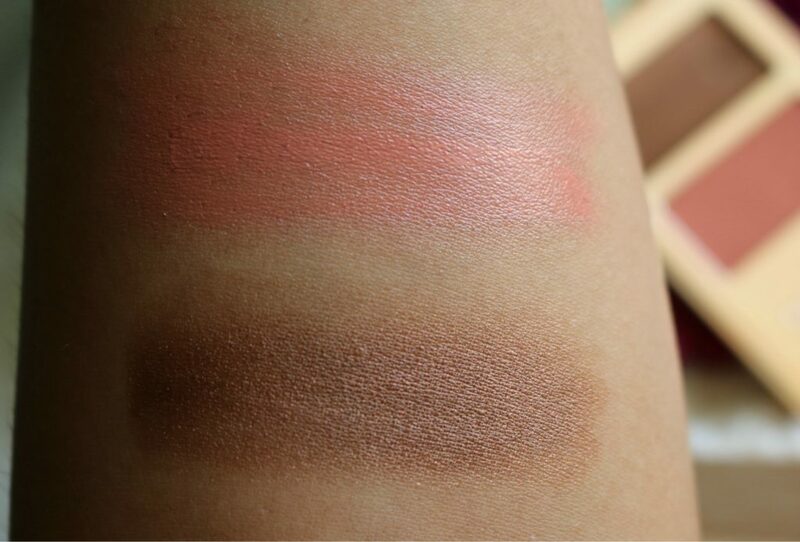 Pigmentation is medium and is buildable and I find it convenient to apply the color using my fingers. You can also prefer to use a stippling brush. The metallic sheen is really good and it don’t have any noticeable shimmers. 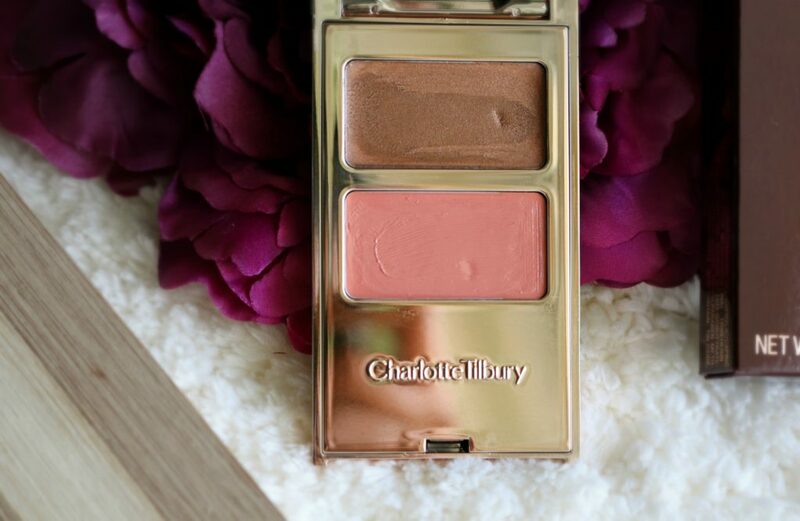 It creates a very luminous sheen which looks lovely on most skintones. 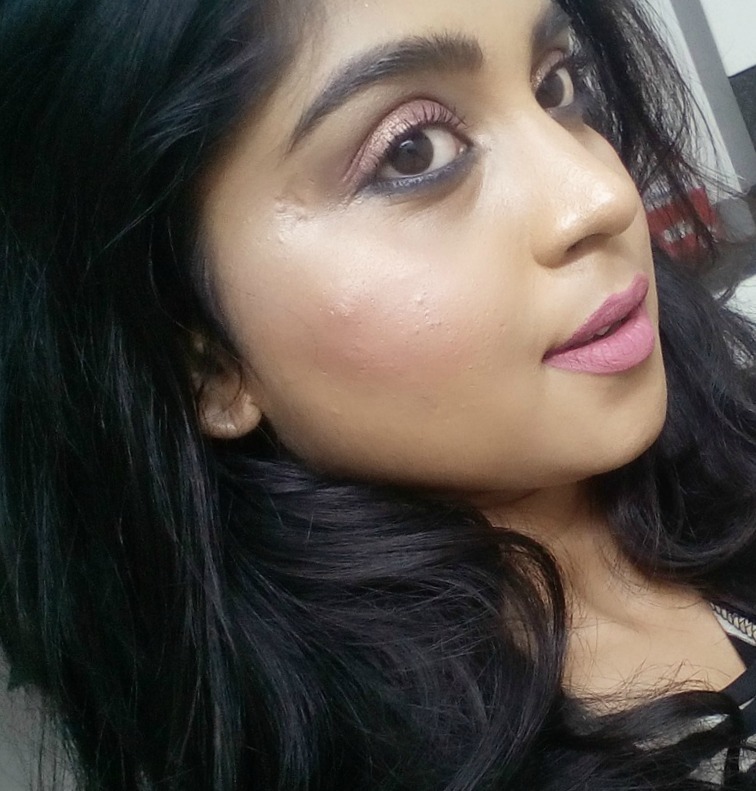 In the pic below I have applied the peach color on my cheek. It looks really natural and it lasted for about 5 hours on me. I would say- It’s the ultimate choice for those days- where you want that minimal makeup look. Now, to talk about the eyeshadows – I am more into powder eyeshadows. 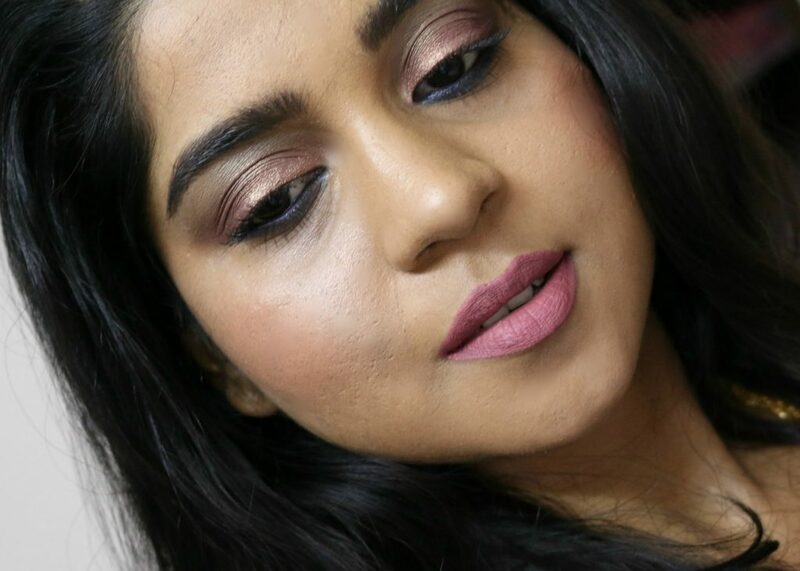 This bronze-cream shadow feels light on my eye lids. It crease faster than other cream shadows. 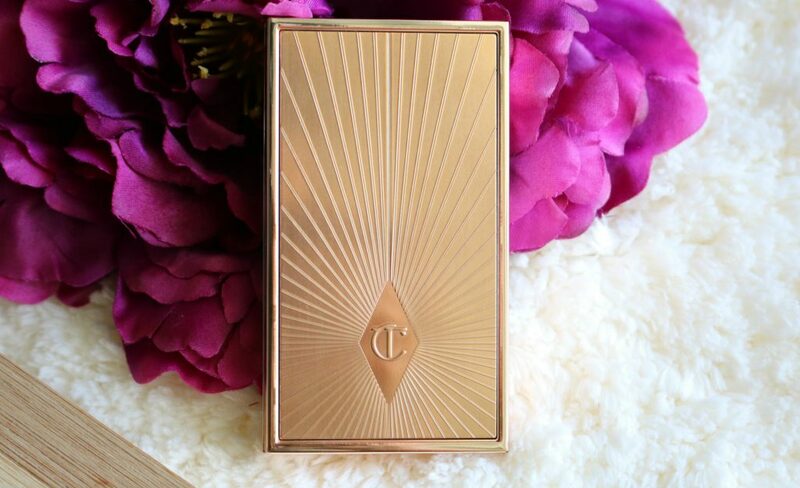 But, When I use it as a base and apply a bronze or copper or rose gold powder or metallic eye shadow. It’s excellent. It doesn’t feel heavy even if you layer it with powder eyeshadow. In the picture below, I have applied a champagne color on top of the bronze- eye shade and it looks lovely. Now, whether to buy this or not – My final verdict – Different people have different skin types. My opinion is clearly based on how it worked on my normal eyelids and normal cheek area. Though I am happy about the cheek color. I didn’t like it on my lips. Especially, it faded very quickly on my lips. 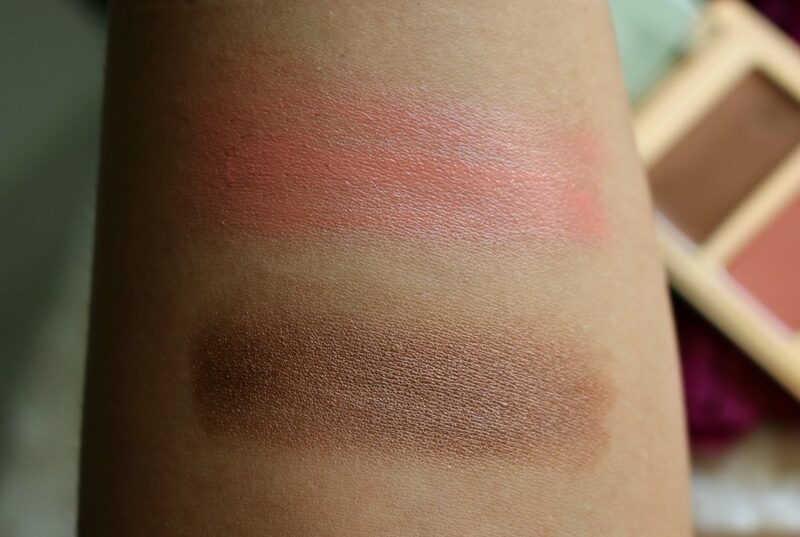 For eyes, It did crease on my eyelid- Considering the cost of this palette, I expected more wear time. Packaging is excellent. For USD $55.00 I expected little more wear time for the eye color. I use it on those days when I prefer creating a natural and minimal makeup look and also as my in-flight makeup item- whern I don’t prefer to carry a lot of items. If you are ready to splurge and don’t mind touch-ups during the day -You might want to try this. I wish she improves the formula. 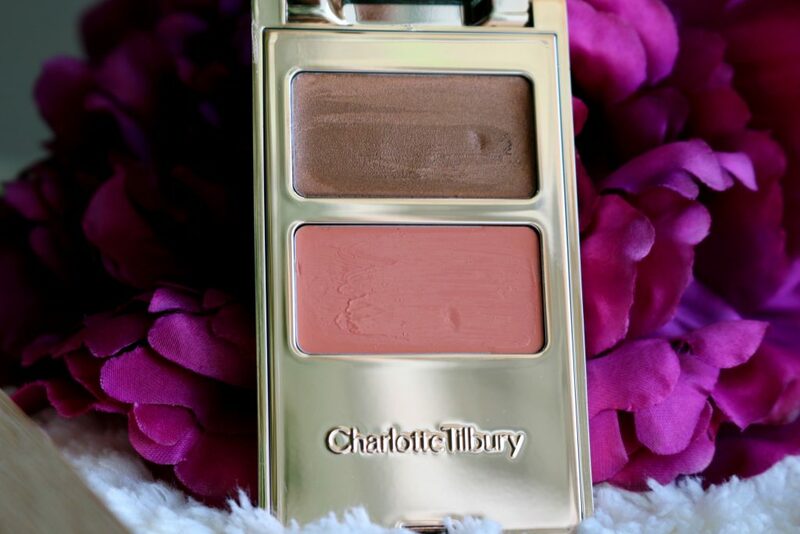 Have you tried Charlotte Tilbury Filmstar On The Go – Breakfast At Tiffanys palette ? Do you like it ? This just goes to reinstate that looks can be deceptive.. its a shame because the packaging is just so gorgeous.. nonetheless, i think you kind of made it work.. the end look is soft , subtle and very summer appropriate ??? ?